Large corner sofa, with charcoal lather upholstery enhanced by contrast seams. This contemporary Sapporo sofa is characterised by a comfortable chaise longue and original support structures in polished steel which enhance its clear and very fine look. 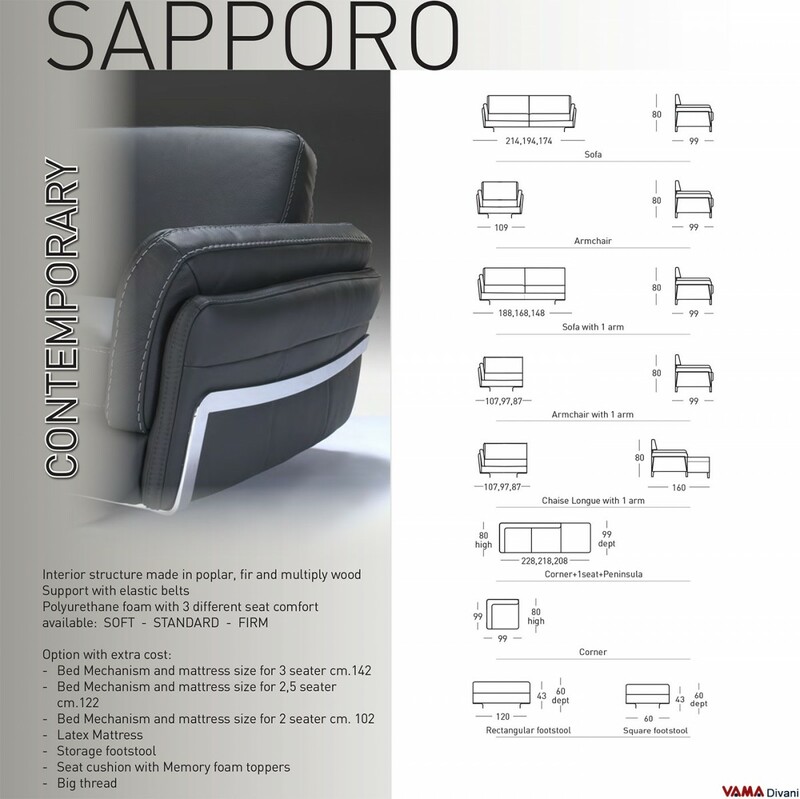 Sapporo is ideal for right angles but can even create many design solutions. 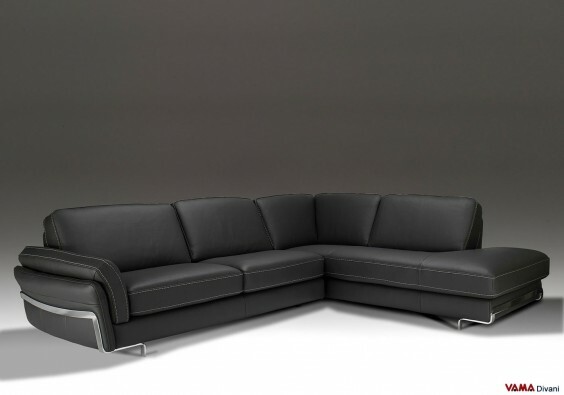 Stylish, very fine and impressive: three perfect adjectives to describe this corner Sapporo sofa, a piece of furniture which is designed to be placed in right angles, but it allows to create many and interesting design solutions even well spaced from the walls, thanks to its special shape. Ideal for medium-large interior spaces, Sapporo is even perfect for those who want to dedicate an area of ​​the room to total relaxation and the best welcome. Its upholstery, made of high quality charcoal leather, is embellished with exposed thick thread seams realised by our Italian craftsmen that create a beautiful contrast. Other interesting details are its comfortable chaise longue and its original feet in polished steel, a really sturdy support structures. 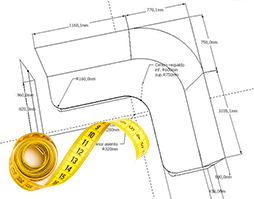 Even for this sofa, VAMA Divani is at your complete disposal to realise your custom sofas. 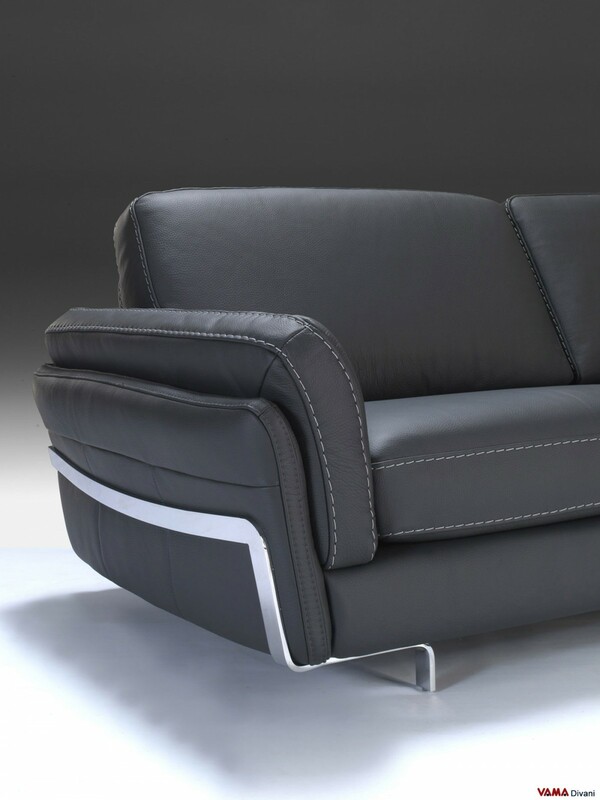 If you are looking for contemporary lines, another interesting upholstered sofa is the corner leather sofa in the Domino version.